Picture this: Say you are turning on a light switch in your room at night, what color is the nearest wall? If you notice, it should be paler nearest to the light source and darker as you look further. Something like a green colored wall will then diffuse into shades of aqua, gray, turquoise or blue. 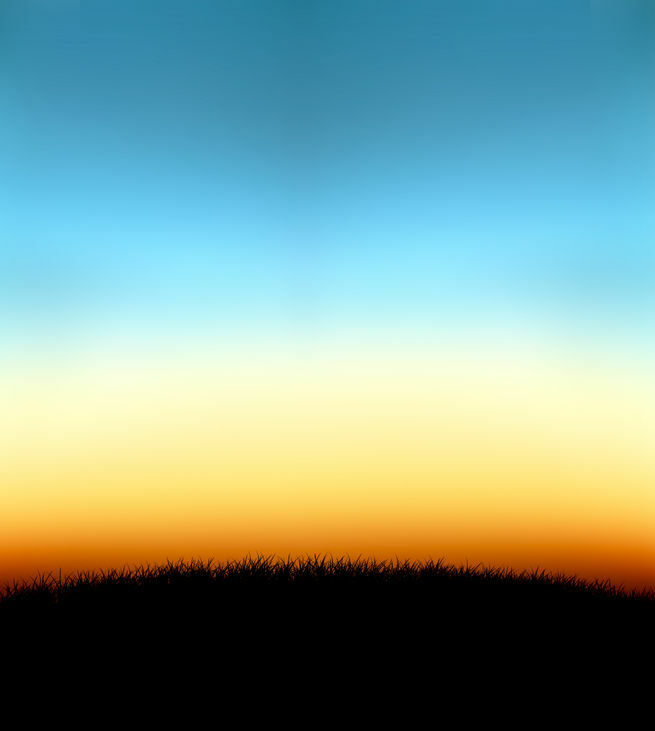 Generally, nothing in the world is a single color because light always adds a touch of magic onto plain surfaces. 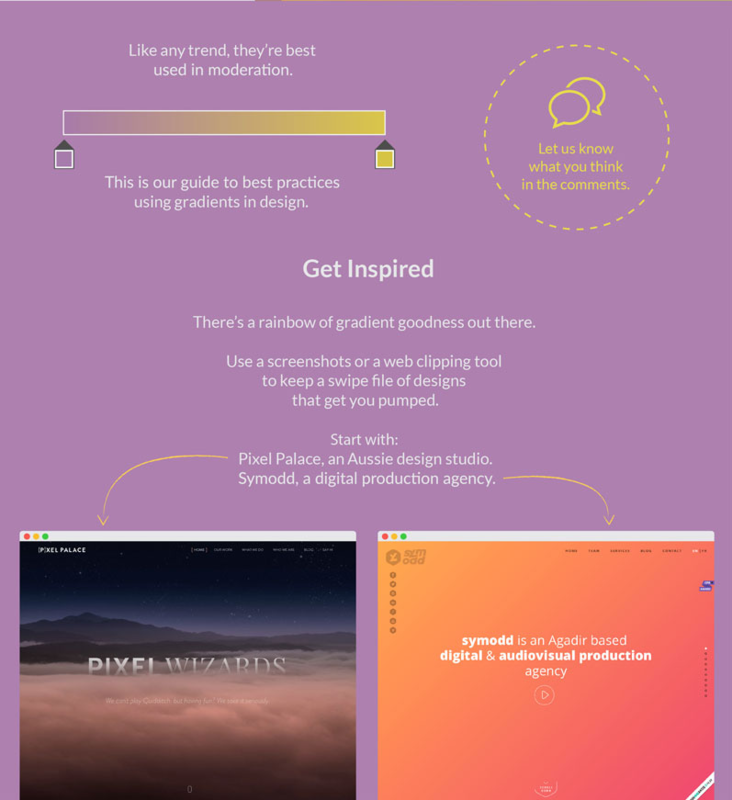 That’s where gradients enter as one of the most common design elements on the web. 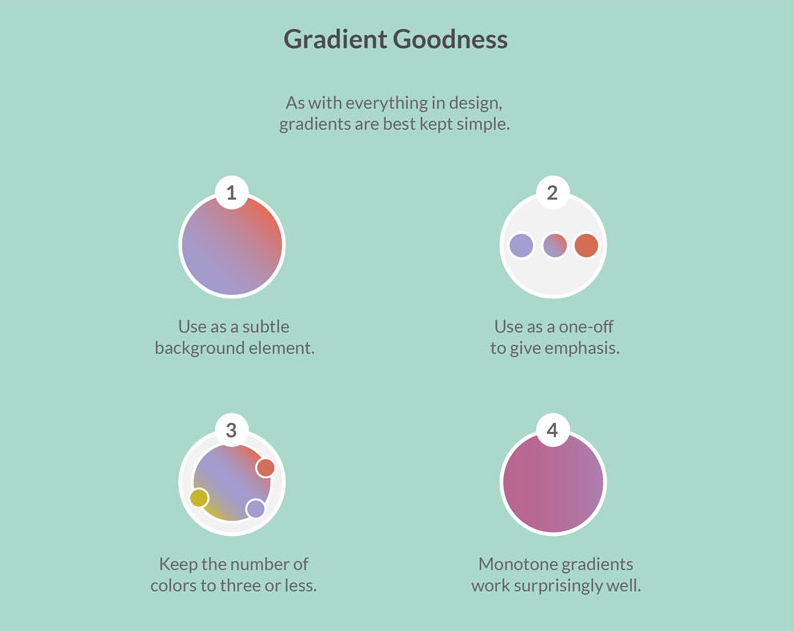 When done well, it will introduce color variations, soften shadows and make layouts more interesting. 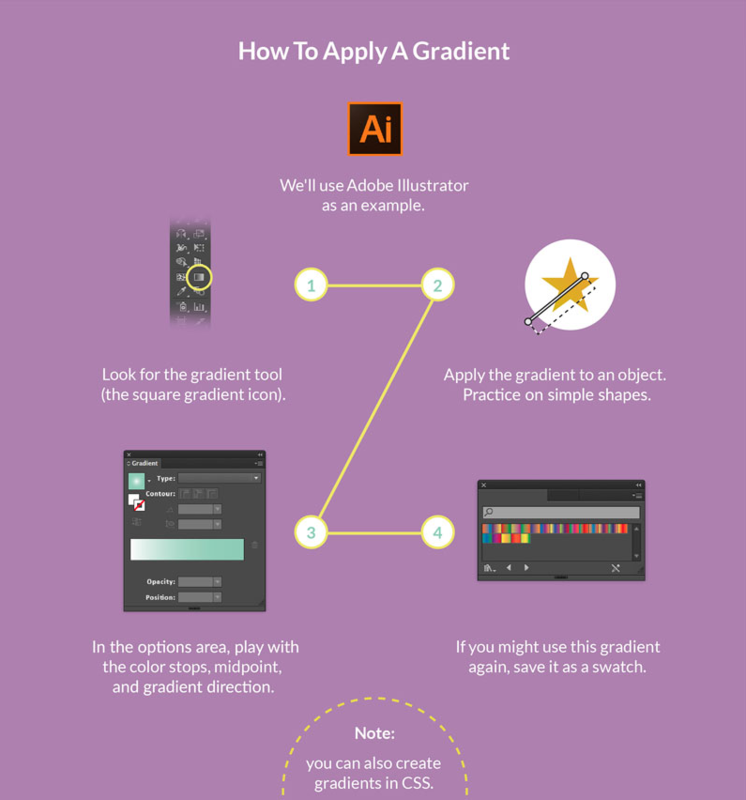 Though using gradients can be challenging so the key is to practice moderation. 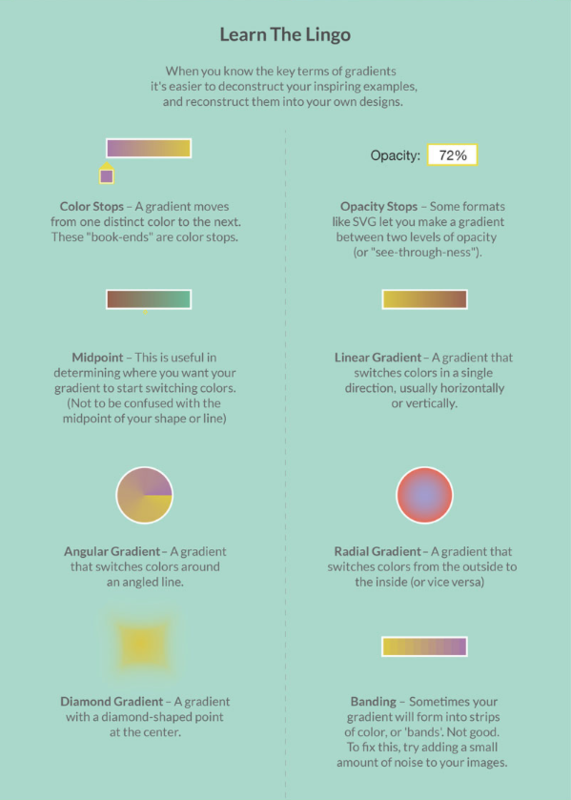 This handy infographic by Creative Market sums up some points on the differences between gradient types and tips on how to create your own simple element using Illustrator. Read on and bookmark this page for future reference! Did you guys like this? Do comment below so we know what floats your boat and we can create/curate more content that will fit your preferences!